After many years of experimentation I’m pretty happy with my barbequed chicken, juicy, crispy, and flavorful…what could be bad, right? And it goes without saying my technique isn’t very complicated. After washing and drying your chicken and lighting the barbeque, mix together some of your favorite spices, cumin, chili, paprika, garlic powder, cayenne pepper, or curry. It’s really hard to go wrong as long as you include salt and sugar. Quantities depend on how much chicken you’re cooking but you want to make sure you’re left with a couple of tablespoons of the mixture after liberally dusting your chicken pieces on both sides. 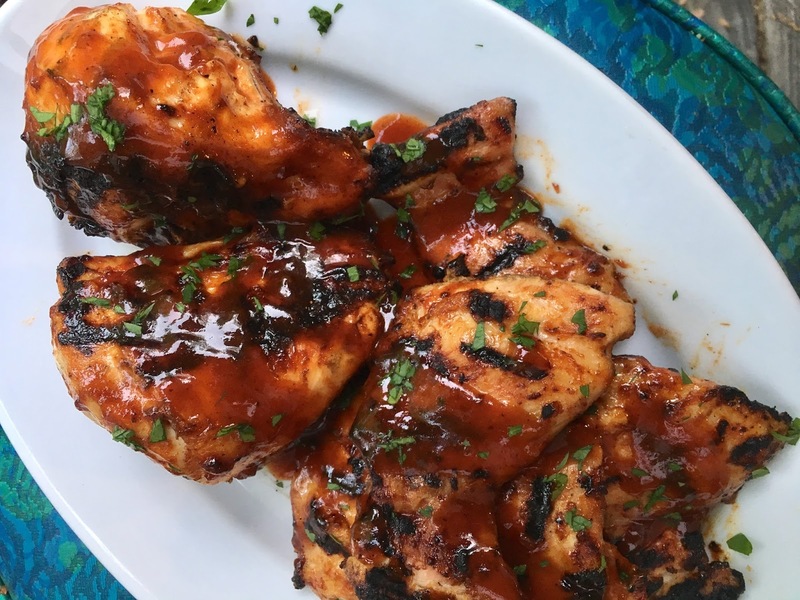 After dusting the chicken stir the remaining spice mixture into a bowl of your favorite barbeque sauce then divide into two parts, one for basting, and the other for serving. Start the dark meat chicken skin side down on the hot grill and cook until it lifts up easily, five minutes on high. Flip each piece, baste the cooked side with your sauce, and then add the white meat pieces skin side down to the grill. Cook all the chicken for another five minutes on high, flip, baste, and then turn the grill to low. Continue to cook, flip and baste every five minutes until the chicken is cooked through; you’re aiming for a good char without overcooking. Serve right off of the grill with the sauce you set aside.